Checks are unavoidable, the president made it clear. 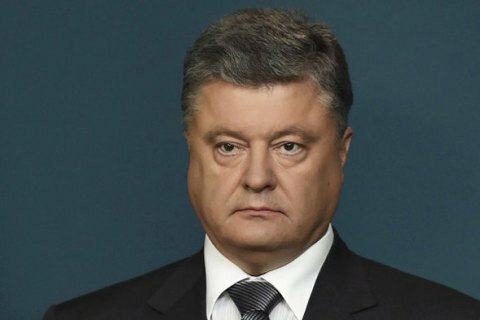 President Petro Poroshenko has said that Ukrainian officials and MPs must explain the origin of the assets they listed in their e-declarations. "People mentioned extra cash, thinking this is a zero declaration which will later let them avoid a check. However the goal of e-declarations is to report on what they have been doing for 25 years and explain the origin of all this. People and society have the right to know. It is the criminals who must be fought, not the rich, as some think," he said at an international business form in Lviv. According to the president, the criminals are people with "flats, cars, summer houses, villas and aircraft" who have been on public service the entire time. The deadline for top-level officials to submit their electronic income statements expired on 30 October. The e-declarations exposed huge assets owned by officials. The total amount of cash declared by MPs runs into 12.3bn hryvnyas. That is 31 per cent of Moldova's 2016 budget. The Prosecutor-General's Office is planning to check whether MPs who reported over 100,000 dollars in cash have paid their taxes.